To be motivated to play, I needed to play with good sounds - sounds that go with my playing. Call it a flaw in me, but it is true. To get many of my basic sounds, a tube amp must be driven but even a one-watt tube amp is incredibly loud when driven. To be kind to my family I’ve got to keep the sound level under control. As a recording engineer I also make a living with my ears and simply can’t afford to irradiate myself with a loud guitar rig. Some effects just aren’t as satisfying when supplied by a pedal. As a recording engineer I became used to high-quality effects added post-amplifier. I needed a rig that could be tweaked extensively and have the results saved. I am a profound tweak-head. Even in small time slots. I need to be able to save a particularly cool tweak. I needed a stereo rig so that my tweaks could be used in the studio as well. I needed a rig that could be transported to the studio easily and could reproduce the sounds I developed at home. This all led me to build a hybrid practice rig a while back and I have benefited greatly from it. For a while uber-forum-guitarists decried these rigs, thumping their chests and demanding an all-tube rig, all the time... or nothing at all. But of late, hybrid home rigs have begun to come into vogue and it appears that many professional, aspirational, and amateur guitarists are thrashing about to assemble their own. 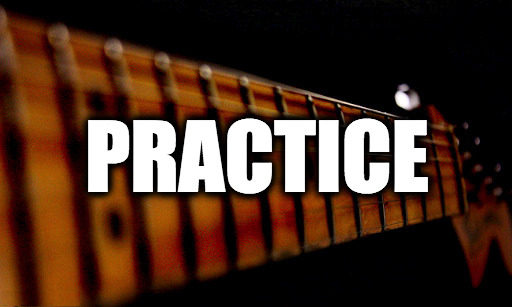 One thing we all need to realize is that a home practice rig is a very personal thing. It should serve your own needs, not really anyone elses', so it need not look like or sound like mine or anyone else's. So perhaps as I discuss my choices and my rig it can help you identify your own needs and begin to formulate a plan for your own personal rig. Now, I’ll readily admit that this rig might be a bit over the top for some players so perhaps we can discuss alternatives for normal guitarists toward the end of the article. Fast forward to the present: I’ve moved up to the Line 6 POD HD500X modeler as the core of this rig. When I did that I wrote up a review that you can find, HERE. The HD500X allows you to choose your effects, amps, speakers, and mics, and their order, setting up a complete signal stream from guitar to console. You can output via XLR connectors, ¼” connectors, S/PDIF, or USB. 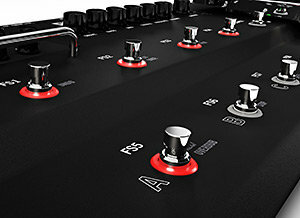 Using the menus you can choose to send out the full model with cabinet and mic emulations at line level for insertion directly into a studio console or you can chop off the cabinet and mic emulations and insert the signal into the front-end of a guitar amp and use its speakers as your speaker sound. For that matter, you can insert the signal into a “power amp in” as well. That sets us up for some great options. Firstly, we can choose our amps to be “in-scale” to our environment and don’t have to crank them for our sound. Secondly, we can use tube amps only for the way they round off the high-end a little, and can use their cabs and speakers if we like them. Thirdly, we can use special-purpose amps if we so desire. 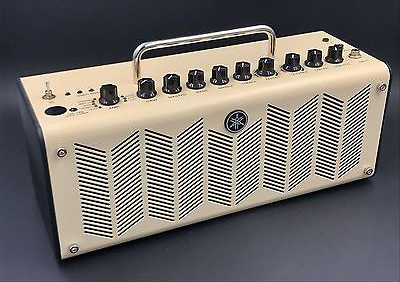 And fourthly and finally, a front-to-back modeler patch that was designed in the studio with cab and mic emulations so that it can be plugged directly into the console can be carried home and handily plugged into your amps... and sound great. So what is my perfect five-minute bedroom practice rig? I’ve got the Line 6 POD HD500X running into two guitar amps spread apart in the room: the clean channel of a Marshall JTM60 tube combo amp on one side and the clean channel of a Leslie G37 rotary amp on the other. I am a die-hard Leslie rotary cabinet freak. I'll admit to having been disappointed by pedals and their lack of the physical sensation of rotary motion. I've been quite happy with the sound of the G37 in this context and you can read my review of it HERE. When the G37's rotors are stopped, the combination of it and the Marshall JTM60 provides great stereo playback for the POD. When I kick in the rotary function, I prefer to have a second, clean amp being fed at the same time as the rotary amp so my sound doesn’t get too mashed up. That’s a trick I learned from David Gilmour, who has been doing it since the ‘90s and the Pulse concerts at least. So now with this rig I can step into my home studio, grab a guitar, and have all my basic sounds immediately, including a genuine rotary sound. I can also run the POD HD500X to the studio and have all the sounds from practice sessions except the Leslie sound. To handle that need, I’ve moved my Motion Sound Sidewinder rotary amp (more HERE) to the primary studio where I work to allow me to have real rotary sound when I need it as well. There you see the nuts and bolts of my rig and the thought process that went into it. You'll want to adapt the idea to your own needs. Clearly I am a Leslie rotary speaker FREAK. But you, well, you might be a normal, non-Leslie obsessed guitar individual. You may not need or want the size or complication of my rig. If your needs are really fairly simple, is there some smaller, easier rig that you could actually use in a real bedroom(with a bed)? How about the intriguing Yamaha THR10 digital modeling amp? I loved one comment in the video: “We have a rule in our house: No backline in the house!” I can bet there are plenty of spouses that feel this way but I'm blessed with a tolerant wife. In the video the guys try out the THR10, a computer software package, and a boutique amp run through an attenuator, as options for bedroom work. Those are three ways that with a little experimentation you can come up with a rig of your own that gives much of the feel of a full-sized rig without running off your family and neighbors. And perhaps you can get in a little more playing and practice than you did before you started!